Le Clezio, Nobel Prize for Literature, is one of the few writers who has never disappointed me: by his work, his likings, his positions, his personality and his distrust of the small Parisian literary world ! The list of writers selected for the Man-Asia prize has just been published. Ten writers for a prize that will be awarded in March 2011.The rules have changed: the authors must be Asian and the books published or translated into English, whereas in the past, the long list was much larger (twenty five books) and related to works not yet published. As mentioned in an article for Rue89, “A Dictionary of Maqiao” just won the Newman prize in the United States. This surprising book led to some turmoil when it was published in China in 1996 (1). Two Chinese critics explained that this dictionary is a plagiarism of “The Khazar Dictionary” by the Serbo-Croatian writer Milorad Pavic (born 1925), a book published in 1985 and translated into Chinese ..
Liao Yiwu discovers Germany and this weekend Paris. Following the likely intervention of Chancellor Angela Merkel, to whom he had written a letter, the writer Liao Yiwu was allowed to travel to Germany for the Frankfurt Book Fair and to meet his readers. His translator in France, Marie Holzman, was able to arrange his coming to Paris and led a discussion in the major bookshop The Phoenix. Cao Wenxuan, children literature and…talent. Cao Wenxuan is a professor of literature at Beijing University, he has published over fifty short stories and novels, some of which have become classics in the school curriculum. He publishes magazines, anthologies and participates in the development of programs and books for schools. Alison Wong, the Chinese voice from New Zealand. “Change”, an autobiographical novella by Mo Yan. Marketing fad or same age effect, during the last months, three autobiographical books have been signed by the major writers of modern China: Yan Lianke, Yu Hua and Mo Yan. The book byYan Lianke was a great success, which he did not expect. “The generation of my father” sold more than three hundred thousand copies. A book on the life of his village and his family and filial piety. Yu Hua: Ten key words to understand China. After the international success of his novel “Brothers”, Yu Hua, publishes as world premiere in France, “China in ten words,” a collection of essays organized around ten key words: political terms of Communist China or of the current capitalist developments, but also sociological analysis and texts related to the writer’s career. Fifteen years later, the triumph of Eileen Chang. 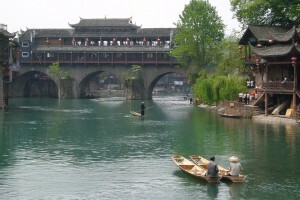 Fenghuang, the most beautiful small town in China? 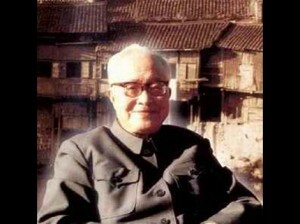 It is in Fenghuang that the famous writer Shen Congwen (1902-1988) spent his youth. This small town in western Hunan Province (South China), is considered a unique architecture heritage, being considered for the World Heritage List of theUnesco. Shen Congwen, a great writer to be rediscovered . With Lao She and Lu Xun, Shen Congwen is without doubt one of the great writers of the last century, but for Shen Congwen, no further translations, he has to be discovered by a new generation. Liu Zhenyun and the Dangdai literary award. “Frogs” by Mo Yan did not receive the Dangdai award. The short list included all the books people are talking about in Beijing : the novels by A-Lai, Su Tong, Zhang Ling. Liu Zhenyun won the prize with “A Word Is Worth a Thousand Words. “after being the winner in 2007 with ” My name is Liu Yuejin “.